The trial begins Monday in the murder of Lesandro 'Junior' Guzman-Feliz. Erica Byfield reports. Jury selection proceedings started Monday in the trial of five suspected gang leaders believed to have taken part in the savage slaying of a 15-year-old boy inside a Bronx bodega last summer. The five are facing murder charges in the horrific machete attack death of Lesandro “Junior” Guzman-Feliz, who was killed in June 2018 by a group of alleged gang members in an apparent case of mistaken identity. 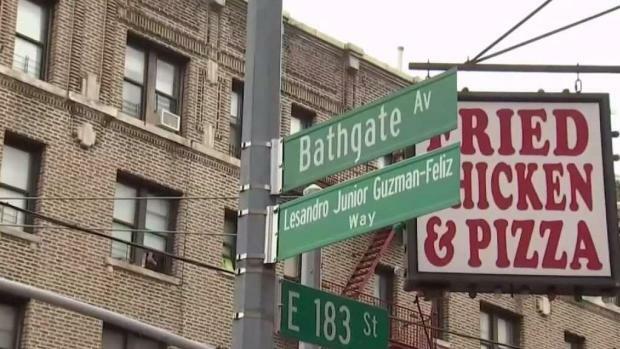 Investigators say the group mistook Guzman-Feliz, who was not affiliated with any gang, for a member of the rival fraction of the Trinitarios gang. In total, more than a dozen suspects have been arrested in connection to the killing. Jury selection should take weeks, an attorney tells NBC 4 New York, since they need to find 12 jurors and their alternates. 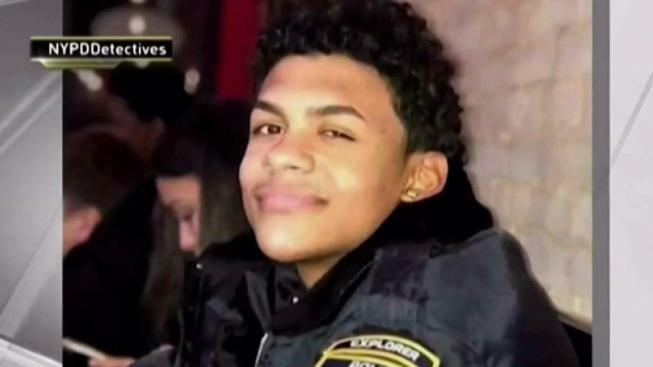 Murdered teen Leandro 'Junior' Guzman-Feliz was honored in the Bronx today with a street renamed in his memory. Gaby Acevedo reports. Only the potential jurors will be allowed in the courtroom, while everyone else has to watch the proceedings from a monitor on the sixth floor, NBC 4 New York learned. 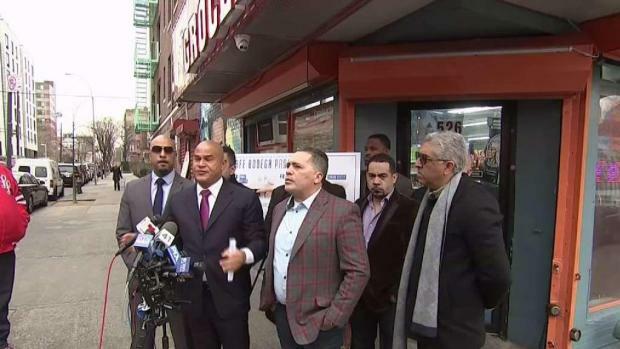 The Safe Haven Bodega program has launched in the Bronx. Ida Siegal reports. Since the violent attack, the community’s outpouring of love and support has been seen in a mural. Guzman-Feliz’s memory has also been honored through the renaming of a street and a summer camp at a state park, as well as prompting the “Safe Haven Bodega” program in the city.